Thirteen Brahmas scored high enough on the AMC to move on to the national math exam. 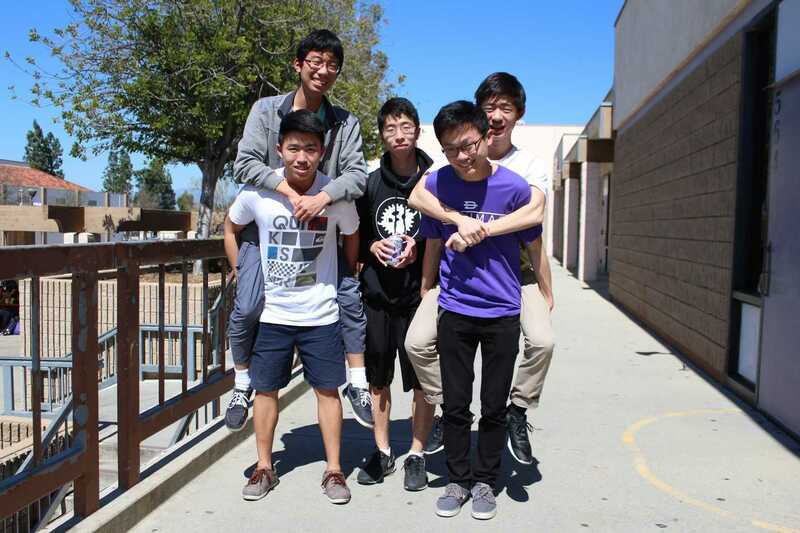 Among a quarter million math students across the nation who took the American Mathematics Competition exam, thirteen Diamond Bar High School students scored among the top 10,000 students to move on to the American Invitational Mathematics Exam. This second of a series of exams will ultimately determine six members to represent the U.S. in the International Mathematics Olympiad. Seniors Benjamin Chen, Peyrin Kao, Sabrina Tseng, William He and Weiwen Hong; juniors Qinhong Chen, Rajvir Dua, Felix Su, Eric Peng, Matthew Ho and Darin Chang; and sophomores Daniel Huang and Timothy Yeh qualified for the AIME. High school students compete in either the AMC 10, which is for sophomores and below, or the AMC 12, which is for seniors and below. The AMC is the first test students take to potentially qualify for the AIME and eventually the U.S.A. Mathematical Olympiad for AMC 12 qualifiers or U.S.A. Junior Mathematical Olympiad for AMC 10 qualifiers. Around 30 top scorers from the USAMO are invited to the Mathematical Olympiad Summer Program, where students take the Team Selection Test to be chosen as part of the US International Math Olympiad Team. Chen has had six years of experience taking the exams, starting from when he was in sixth grade with the AMC 8, the category for students grade eight and lower. In Chen’s freshman year, he scored high enough on the exam series to earn a spot at the Mathematical Olympiad Summer Program. Since then, Chen has scored two perfect scores on the AMC 12 in his junior and senior year. He scored a 14 out of 15 on the recent AIME, qualifying him for the upcoming USAMO with a combined AIME and AMC score of 290. Next to Chen, junior Matthew Ho is among the top AMC scorers at DBHS. Ho had been taking the AMC since seventh grade and qualified for the AIME in his freshman, sophomore and junior years. To prepare, he and Chen held weekly study sessions for four weeks before the AMC 12A. According to Ho, helping other students prepare for the AMC helped him in his preparations. In the AIME, Ho scored a 7, which, combined with his AMC score, did not qualify for the USAMO. Although he said he felt disappointed that he did not qualify, he’s optimistic about his results so far.